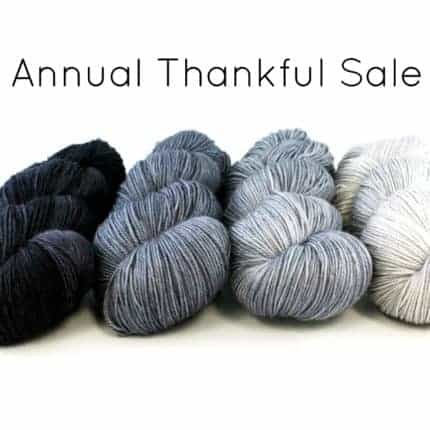 The Annual Thankful Sale is going on now through Monday the 28th. 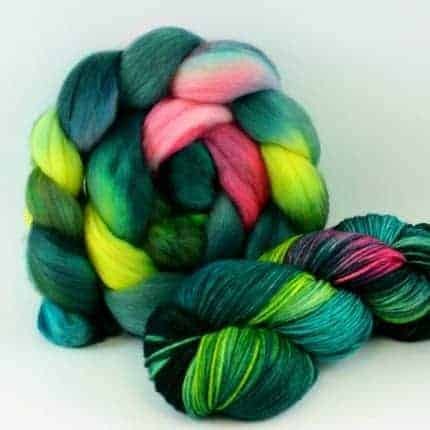 Save 20% off almost everything and Special Skeins and one of a kind fibers are 30% off! We are huge fans of Game of Thrones. So much that I couldn’t resist doing another series of colors inspired by the show. Seven new Limited Edition colors are available for order throughout the month of May and June. From brightly colored Wildfire, to soft and feminine Little Bird and to dark and stormy Pyke, there’s sure to be one or two to catch your fancy. March is here and it’s time to start thinking of Spring. With Spring comes color and flowers stalks shooting through the dirt and buds starting to appear on the trees. 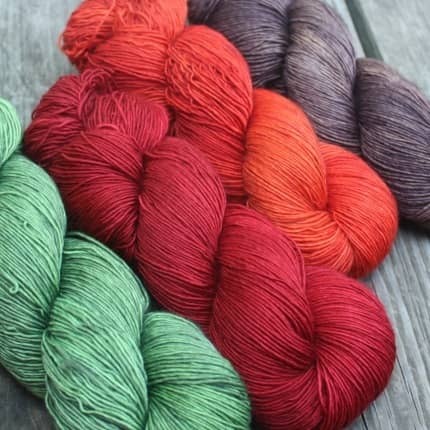 What a great time to introduce six new colors, a little bit of everything to round out our extensive collection of colorways. 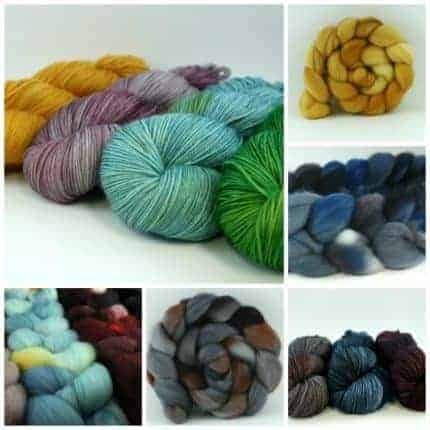 Event Horizon, Holly, November, Oxidate, Citron and Memories are just the right colors to fill these spots. 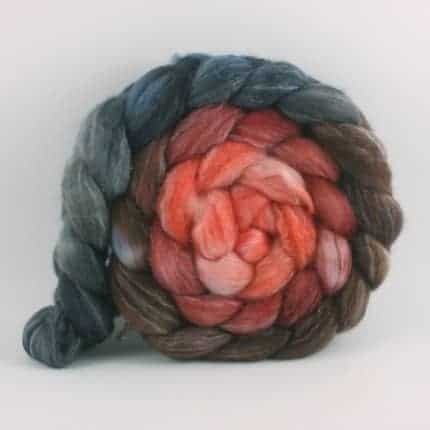 I’ve also been experimenting with new colors on spinning fiber. 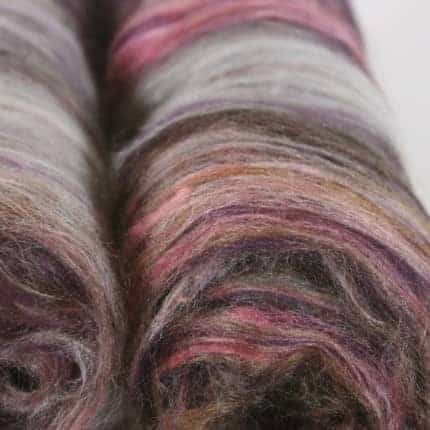 You can find gradients, hand paints, kettle dyes and quite a bit of hand carded batts. 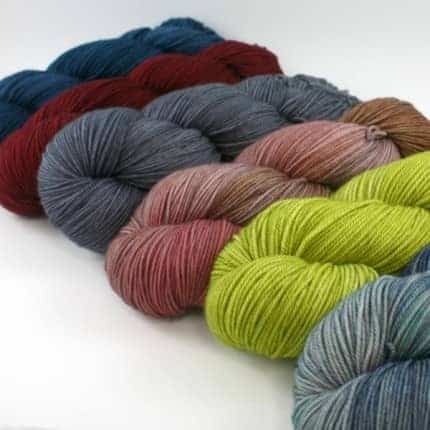 While you’re over at the shop, be sure to pick up the Color of the Month, Majestic Meadows. It’s the perfect color for March, lots of green with a punch of pink. Alrighty folks, we’ve got a lot to celebrate and we want to share it with you. First and foremost, Squoosh has turned eight and that is so exciting! Plus, we’re moving and couldn’t be happier than that. And it’s almost summer! Warm weather ahead. Yes! To celebrate, the entire shop is on sale through the beginning of June. 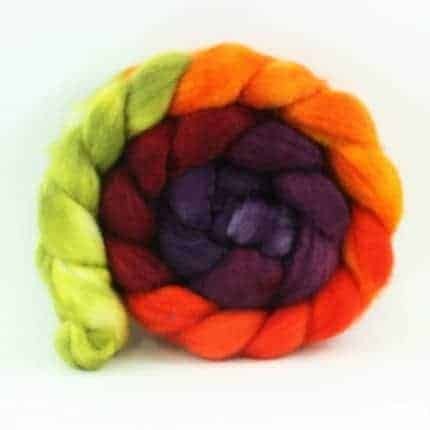 Find great deals on hand-dyed fibers, yarns, rolags, batts and handspun. Even more, to help lighten the load for the movers, all Made to Orders are 10% off until the 28th. It’s the perfect time to nab that color you’ve always wanted but never got your hands on. But don’t delay, quantities are limited. As a Military family, we get to live all over the world. For the past three years we’ve been stationed in Kansas and it’s been a blast but our time to pack the truck and move on is fast approaching. 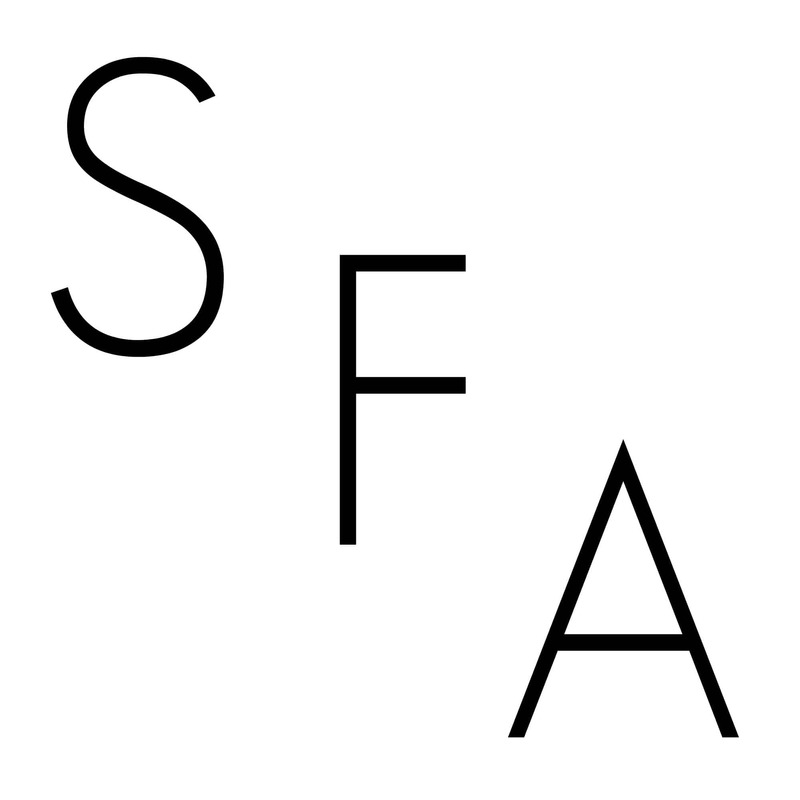 I wanted to honor the wonderful time we’ve had here through color and have created three unique and beautiful colors for this month’s Color of the Month selection. 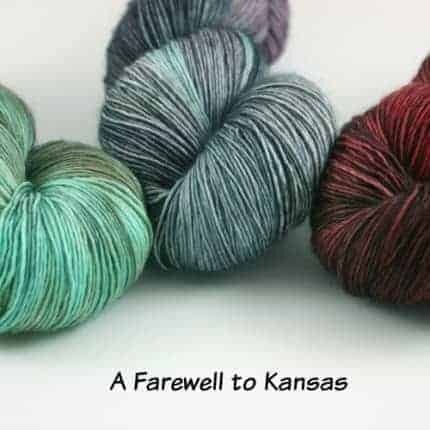 Tornado Warning, Tuttle Creek, and Sorghum are available for pre-order on both a wide selection of yarns and spinning fibers. 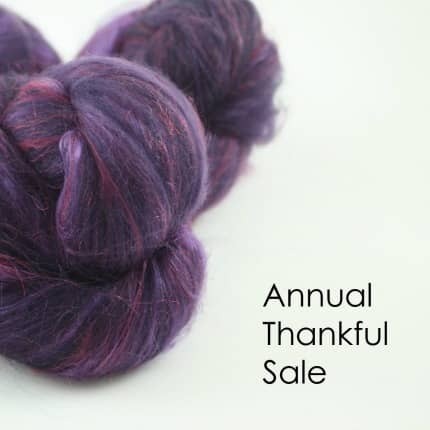 It’s time for the Annual Thankful Sale at Squoosh Fiberarts! 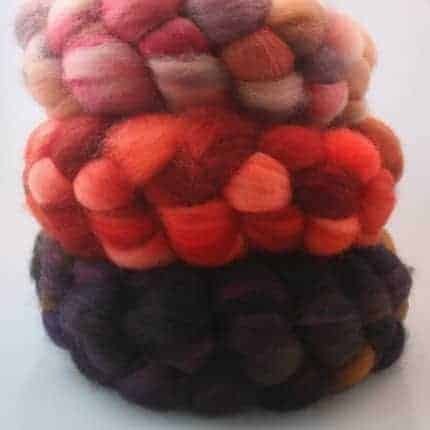 Come stop by for some amazing deals on hand-dyed yarns, handspun, spinning batts, rolags and never seen before spinning fiber colorways. The sale runs until Monday, Dec. 1st. I love Autumn. I love everything about it. Cool, brisk mornings, the myriad of colors crunching under your feet, apples and pumpkin treats, and especially it means wool season! 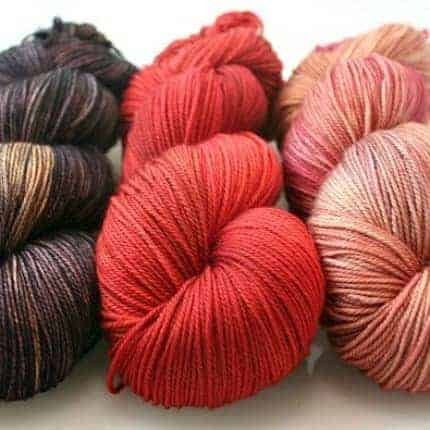 This month I have updated the store with lots of Autumn colors in a variety of bases to get in the mood. There’s tons of Simplicity, our superwash singles yarn, with a countless variety of combinations for all the lovely stripey shawls. I also have introduced our Color of the Month for October in not one, but three different colors! The Color of the Month is a limited edition colorway that is only available to pre-order for a little bit before it get tucked away into the vault forever. 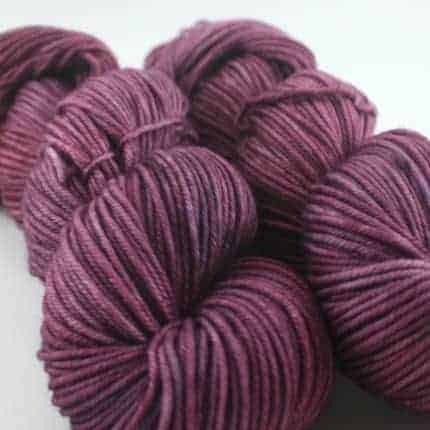 All are available on a variety of bases of both yarn and fiber. Don’t miss your chance to get Cauldron, Toothbreaker and Frosted Leaves before the 15th of the month!